The skiier opens up about her eating habits and favorite splurges. camera (Franck Fife/AFP/Getty Images) Lindsey Vonn arrives for the Women's World Cup Downhill, Dec. 18, 2013, in Val d'Isere, French Alps. 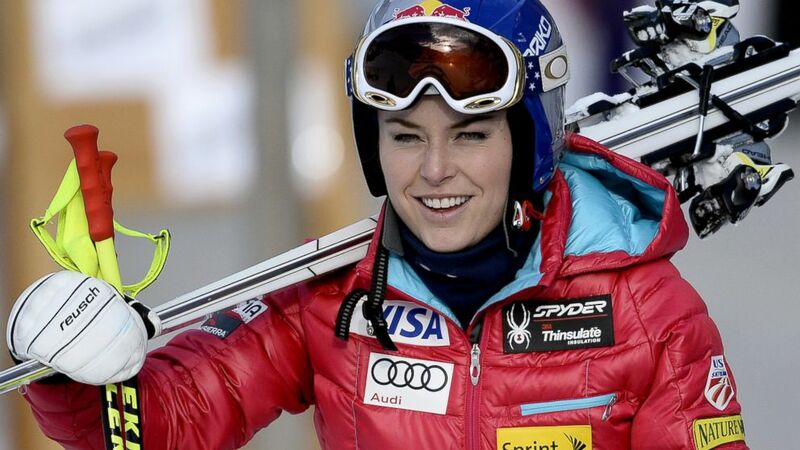 Skier Lindsey Vonn said she was "devastated" to learn that a knee injury would keep her from competing in the Sochi Olympic games, especially given the intense training she has endured. Training that also included a special diet. In the new issue of Food & Wine magazine, Vonn, 29, explained that when she's training, she makes sure to have a "hot and substantial" breakfast (eggs, toast, pancakes and oatmeal are favorites), followed by a diet heavy in fish, especially salmon. Meat is a no-no. "When I'm racing again, my typical snack is a pumpernickel, almond butter and apple sandwich," she told the magazine. "If I'm not racing again the next day, I'll have dark chocolate, like Ritter Sport." The native Midwesterner, who announced last spring that she's dating Tiger Woods, also said that she's also capable in the kitchen. "I actually make a really good chicken schnitzel," she said. "The meat has to be pounded very thin. And I always use nice olive oil!"